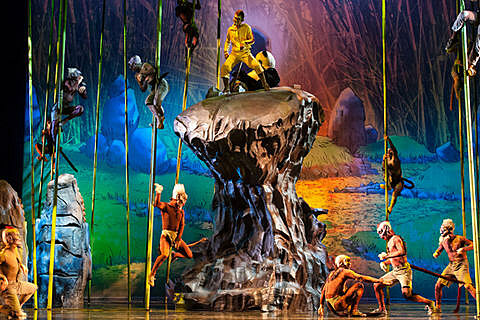 The centerpiece to this year’s Lincoln Center Festival, Monkey: Journey to the West is a now a week into its run at David H Koch Theater. 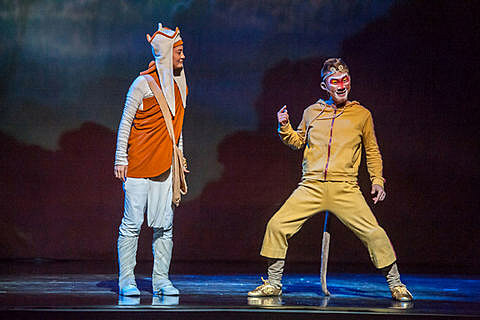 The show was created by Gorillaz partners Damon Albarn (music) and Jamie Hewlett (animation, design) and Chinese opera director Chen Shi-zheng, and comes off as a hodge-podge of Chinese opera (performed by Ensemble Signal), kung-fu, anime and Cirque du Soleil. 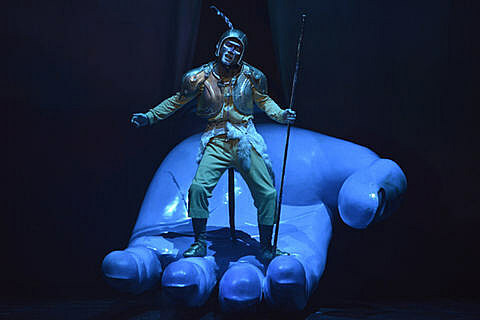 The story, about a wild monkey king who eventually attains spiritual enlightenment via the titular quest with a rag-tag group of friends, dates back to the Ming Dynasty and is one of China’s most famous fables. 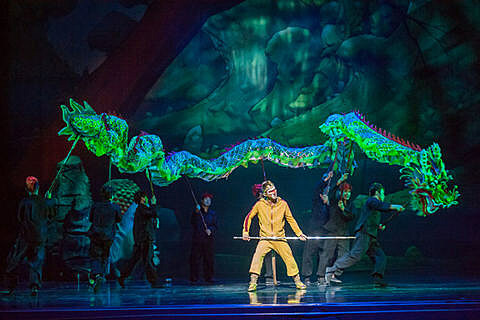 It’s been adapted numerous times on stage, film, television, and manga. Here, the plot is pretty reductive — those familiar with the tale will get it, the rest will muddle through thanks to expository animated segments. But plot is really secondary to the general spectacle of it all. 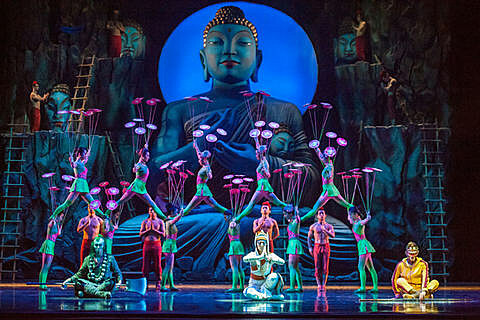 Of that, some of the set-pieces — involving scores of Chinese acrobats — are indeed pretty dazzling. 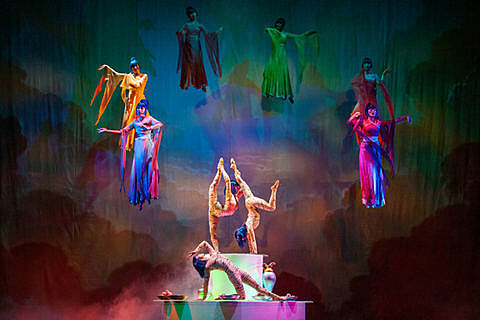 The highlight of the whole show involves the gang’s tangle with seductive spider-women via silk acrobatics. It’s beautiful and thrilling. There’s also some amazing wirework, and even a sequence with plate-spinning (which is cooler than that might read). The episodic nature of the story drags a little but you are never lacking eye candy. As for the music, Albarn does inject a little Gorillaz-style analogue funk, but mostly he aims for more traditional Chinese opera compositions. 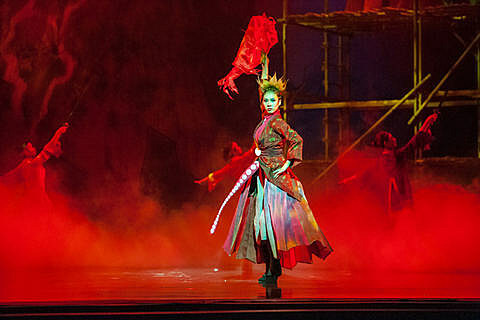 I can’t say I left humming any of the songs, though, which were sung — like the dialogue — in Mandarin. 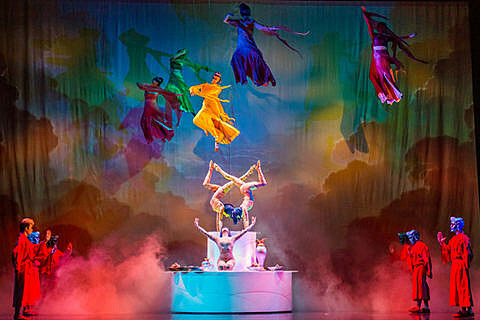 (Subtitles are projected above the stage.) But some of the images linger. 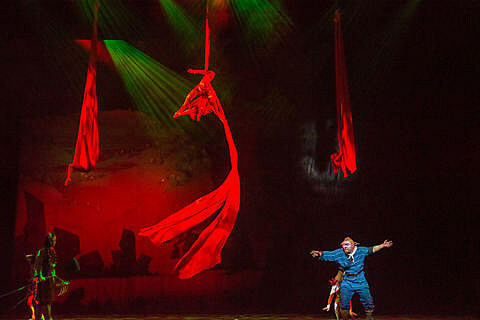 Monkey: A Journey to the West continues through July 28. Tickets are still available. 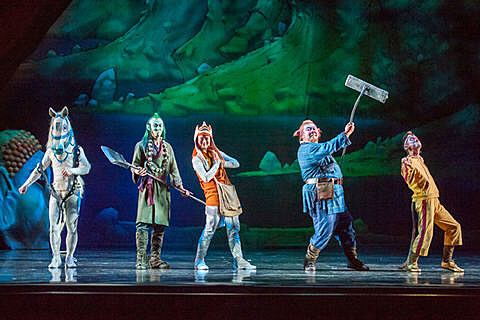 A few more pictures from the Lincoln Center production are below.